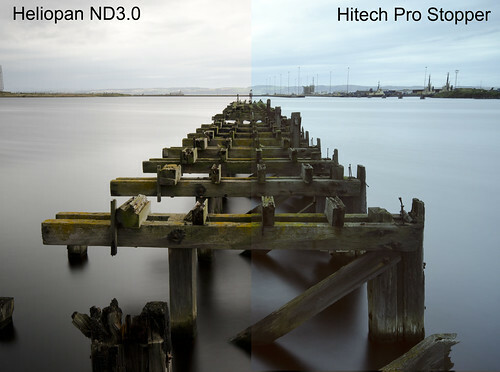 With the recent purchase of a 2nd ten stop filter I finally had a chance to compare 2 of the them side by side. My original filter, a Heliopan ND3.0 has been well used and was a very good buy. However, the screw in can be cumbersome especially if you recompose for any reason. The big problem with a screw in 10 stopper is that with it in place you can’t see anything at all through the viewfinder. This means you need to remove the filter to recompose and attach again for the shot. Either that or guess the composition, ramp up the ISO, take a test shot of a few seconds and adjust till you get the composition and then drop down to a low ISO and take the shot. Neither that handy if I’m honest. Hence, the attraction of a slot in 10 stopper. 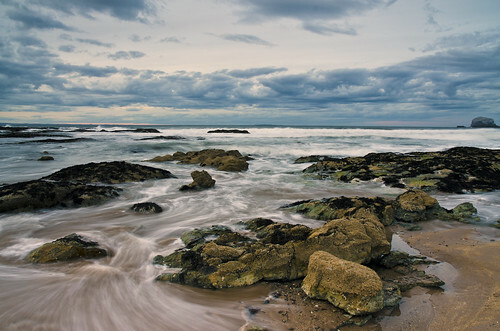 In a perfect world I’d have bought a Lee Big Stopper, a proven product. Sadly, the Lee filter is almost impossible to get hold of right now thanks to supply issues at Lee and 2nd hand items are going for nearly double the price on ebay. Facing either nearly £200 for a Lee or a 6 month wait I opted for the new Hitech Pro Stopper. Hitech claim this filter is made of a new IR resistant resin and they also claim to have fixed the light leak issues of the old filter by adding a 1.5mm gasket (for Lee holders, 3mm for Hitech holders). The filter comes in it’s own pouch and does seem pretty well made. Price is reasonable at £72 from TeamworkPhoto. TeamworkPhoto also supplied by Heliopan at a cost of £92 for the 77mm version. So, how do they compare side by side? This was a shot taken one after the other in dull conditions. Both shots were 90s exposures with a Hitech 150 0.9 GND in front of the 10 stopper. Same ISO, same lens, same f setting etc etc. The shot is a straight conversion of the RAW file to jpg for each with no PP applied. As you can see, the Hitech does have a pronounced blue cast compared to the Heliopan which has a slightly warm cast but much better colour reproduction. Casts are not that hard to remove but obviously there is a lot less work to do with the Heliopan. The blue cast however, might be desirable in seascape type shots. The Hitech also seems to let in slightly more light that the Heliopan, maybe not quite a full 10 stops? Other than that, all other areas of performance seem fairly equal. So, it comes down a choice between the convenience of the slot in filter vs the colour reproduction of the screw in filter. Shooting for B&W, the slot in will be fine. Shooting for colour, I’d go with the fiddly screw in every time. I’m going to keep the Hitech filter though, it’s got a place to be used where the screw in maybe isn’t convenient. The Hitech too unlike the other popular 10 stoppers in the market isn’t glass, it’s resin which should make it far less likely to end up in a million bits on some slippy rocks somewhere! 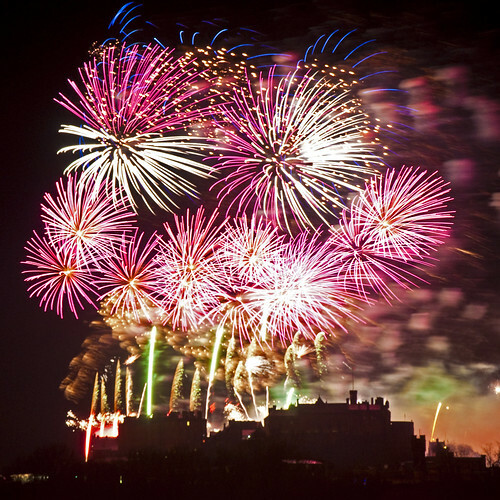 Where to Photograph Edinburgh Castle Fireworks? OK, to the Festival is in full swing but on September 4th at 9.00pm nearly every camera in Edinburgh will be pointing towards the Castle for the Virgin Money Fireworks Concert. 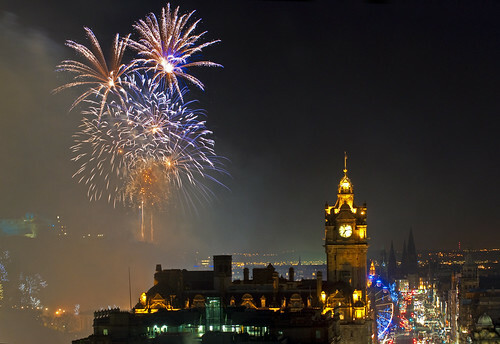 30 minutes of MASSIVE fireworks over Scotland’s most iconic landmark. It’s a photographic opportunity not to be missed, but where can you photograph this from? You can see the Castle from multiple locations around Edinburgh but some will be much better then other for photographic purposes so I’m going to give you a little rundown of some of the spots that might work for you and those you should avoid. Bad move. A prime location sure, it’s really where the whole thing is designed to be watched from but it’s oh so busy and there is no way you’d ever get a tripod setup in that crowd. Possibly iif you were up Castle Street or Frederick Street but personally, I’d stay well away from here. Plenty viewing down this way but arrive early and get yourself a prime spot above the duck pond on the edge of the slope so nobody can get in front of you. 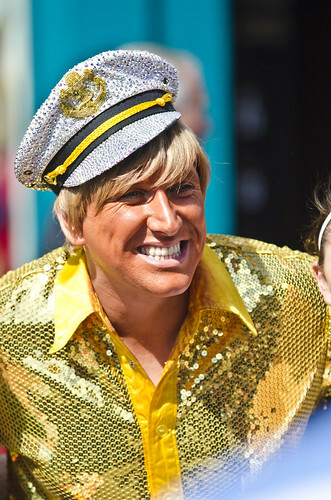 Arrive late and you’ll be kicking yourself as it will be heaving here. Also sadly has a bit of a reputation for drunks on fireworks night but it looks directly onto the front of the castle so you’ll get the bursts exactly as they were meant to be seen. Long lens needed. Normally my favourite spot. Again, you need to arrive early as there is limited parking and it fills up quickly. It’s a prime viewing spot looking straight onto the back of the castle so you get the bursts perfectly. It’s a large area so no problems with getting a bit of personal space to get your shots. Again though, it’s started to get a bit of the drunken teenager element up there which was especially bad last year, normally higher up the hillside so stay down near the observatory. Again, another very popular location and the roadside parking will fill up very quickly. Get onto the high road at St Margaret’s Loch and drive around till you can see the Castle, if you can get parked you’re in a prime spot. If not, go round again and it’s all one way. If you can get parked you have the option of going up to the top edge of the crags, be careful though as it’s not that easy going, very rocky underfoot in places. The Radical Road, the high path around the base of the crag cliffs is shut for a rock fall so expect there to be someone in place that stopping you getting up that way on the night. If you feel fit you could get higher up on Arthur’s Seat and get great views but be careful in the dark, the very top is likely to be busy as well. You look along the line of the castle from this angle so you tend to shoot through the bursts which can be difficult. So close to the city centre this is a prime spot and as such it will fill up quickly and early. Again, you’re shooting through the fireworks and if the smoke drifts towards you it’s going to be game over after the first few minutes, you take your chance! Plenty spots you can get a good view bit likely to be no parking anywhere in the same postcode. There’s a reasonable view of the Castle from here if Calton Hill is too busy. Again though, you’ll be shooting through the bursts which can lead to messy images. From the east side there are some ok views but the buildings and trees are an issue, worth considering if you get caught out and can’t get anywhere better. A prime city centre location. Loads of space, goood view to the back of the castle and you don’t need a monster lens either, a mid range zoom will be more than adequate here. 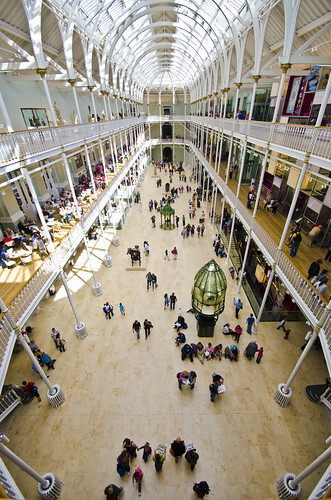 This location will get busy but it’s just far enough away from the Princes Street area to make access in and out easy enough. Not much parking around the Links at the best of times but you should get something in the area. Prime spot but likely to be jam packed so not worth considering. Right under the back end of the castle, likely to be busy and you’ll need a wide lens. So tight underneath you’ll be out of view of some of the smaller bursts. Huge lens needed from up here but at the view point round by the back of the zoo you get a clear view of the Castle with Arthur’s Seat behind. About miles walk in from Cairmuir Road but very limited space. Good viewing point, pretty long lens needed. Probably not as busy as some other places. Braid Hills Road is a popular spot and unless you’re there early you have no hope of parking, get there early though and from the Comiston side you get a good view, once that’s full though the further you go towards the Liberton side Blackford Hill gets in the way but there are views from the Liberton side. Up on Braids Hill itself is too far away to be practical, better headed for Blackford Hill instead. There are quite a few spots along Ferry road that have a clear view towards the front of the Castle, you’ll need a big lens though. 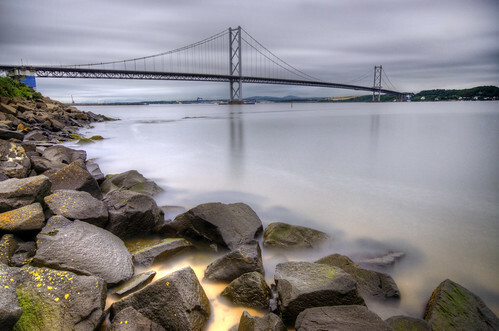 For something a bit different you might try the beaches of Fife which mostly have a clear view towards the city and the Castle will be easy to pick out. You’ll need a decent big lens and will be more photographing the city with the bigger bursts above rather than the castle. Longniddry Bents no.3 car park also has a clear view to the castle; you can get the skyline nicely with a 200mm lens. I’m sure there will be more spots, how about telling us some more in the comments? So I finally took the plunge. From first thoughts about upgrading my DSLR I went from hankering after a Nikon D7000 to a D300s to formulating plans for a D700 then a D3 before I went full circle back to a D7000. Then decided on a D300s. In the end it was driving me mad, my old D90’s sensor was verging on minging, no matter how much I cleaned it, it never seemed clean and I had to make a decision. In the end it was the increased pixels and buying into the latest Nikon technology that swung the deal for the D7000. This camera is laden with nice new features from Nikon and it’s a bargain at the price. I picked up mine from Jessop’s. Ordered online and picked up in store for the sum of £863, a good as any of the online retailers. A word of warning though, this camera will be easily available for under £800 if you look around. Check it’s not a grey import before you buy as if it is there is NO warranty on the camera. I don’t know about you but spending £900 without a warranty seemed a risky move to me. So, with camera bought along with a spare EN-EL15 batter (pricey!) and a nice new Lowepro backpack capable of holding 2 DSLR’s and indeed living in it’s so big I was a happy man! After living with the D7000 for over a week now and having had the chance to use it in a variety of ways I can assure anyone thinking of making the move, especially from a D90 that you will not be disappointed. The D7000 is actually slightly larger than the D90 and feels very well built indeed. I’ve added a 3rd party eBay sourced battery grip with a genuine Nikon battery and it’s a chunky bit of kit. Not as big as a D3 but big enough and heavy enough to give you confidence that you’ve bought something built to last. As I had a few Sigma lenses I was wary about having issues with them, especially my old 70-200mm f2.8 EX HSM but was pleasantly surprised that it worked perfectly. Same went for my Sigma 10-20mm which functioned exactly as expected. Sadly, there the nice surprises stopped. My 2 year old Sigma 28-300 works but no longer auto focus’s on the D7000 and worse still, my 105mm EX DG Macro does not work at all. Nothing. Not even in manual mode with this lens fitted so it’ll need to go back to Sigma for re-chipping. Thankfully, Sigma seems to do this as a free service. If you’re used a lower end Nikon, i.e. D90, D70, D5000 etc then the ergonomics of the camera will feel very similar. It’s considerably smaller than the D300s/D700 but certainly not difficult in hand at all. Button layout is pretty good with most things easily accessible in familiar places. The only odd one is the focus selector where the AF button has now gone and is unmarked on the focus A or M switch at the side of the lens mount. Took me a while to work that one out. Not that I was that bothered, the new 39 point focus system is astonishing, very very quick and accurate in auto mode. The only complaint I have at the moment is that the rear screen while excellent seems to by default show the images a little dark so I’ve lightened mine up slightly. I’d certainly recommend using the histogram to check your exposures as the screen doesn’t seem all that accurate. 2 x class 10 8GB SD cards – £8.99 each on eBay. Under a grand a cracking bit of nice new kit to play with! Check out a few of the sample images below from the D7000. 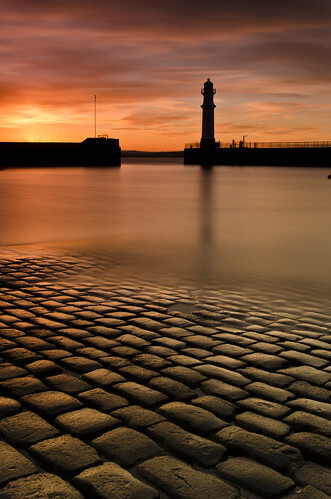 Taken at sunset at Newhaven Harbour in Edinburgh.